First time posting...I have turned on the dual dimensions, inch as primary and metric as secondary...when set as ISO tol display and secondary units below, I am getting an overlap when dims aren't nominal. Any idea on how to fix this? Thanks in advance! This was due to bug (reproducible in legacy drawing) which has already been corrected. For legacy drawings you need to set the drawing option update_drawing 2076321. 3. Regenerate and save drawing. Welcome to the forum, Jamie. I might suggest reporting this to customer support. It cannot be the 1st time this has been reported. Apparently this is specific to limit dimensions. 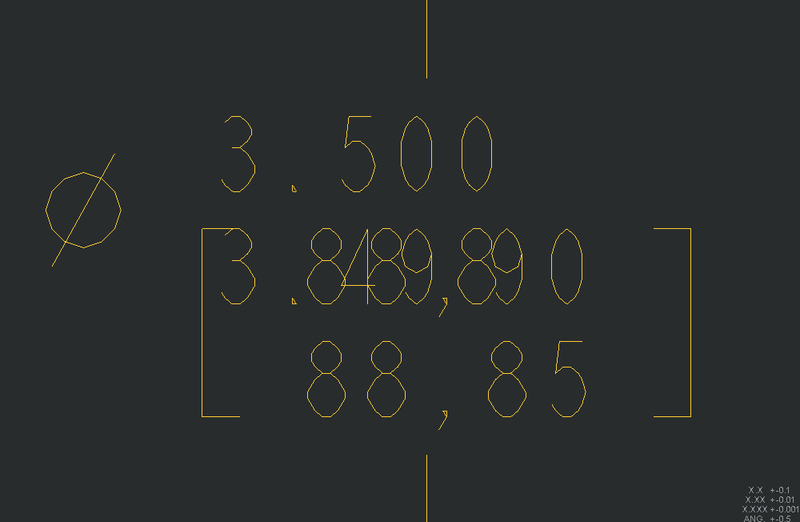 Of course, you can change the MM value to show to the right of the inch dimension in dimension's properties. I am having this same problem and have applied the setting listed here. It changed nothing for me. The dimension is within a note, in my case. I don't know if that changes the fix or not.